"After hearing the news of OBL's demise, the events of the last 10 years zoomed past by me in a flashback. The memories that included images of our fellow citizens jumping off the twin towers to their tragic deaths, the outcry from families of the victims of this tragedy, to the catastrophes of subsequent wars and suffering afflicted on Iraqi/Afghani citizens, to the torture and imagery of prison cells like Abu-Gharib and then the numerous stories of serious domestic law enforcement abuses such as that imposed on Fahad Hashmy in NY were indeed very painful and something that I would hate to be reminded of again and again. My heart was heavy and I felt a deep sorrow for all those that suffered under the rubric of this conflict. But at the same time I was very proud and in awe of the decisiveness and poise of President Obama. His speech gave me much strength. I went to the mosque that night and saw my fellow Muslims with saddened faces lost in deep reflection. I told them, "tonight we must stand with the President and the decisions he made". They nodded and all of a sudden it seemed like they also found a way to process and place their own emotions accordingly. The next day when several Muslim leaders and scholars suggested that Muslim community is either overjoyed, ecstatic or happy over this incident, I couldn't agree at all. It didn't seem congruous with the emotions of these same leaders as they were speaking. It didn't feel genuine. And that is because it failed to address the deepest fear in our community, one of this rising rhetoric of Islamophobia and no one so far has emphatically suggested that it is now time to close this chapter and shut the doors on hate against Muslims in America. "Will the remnants of its ideology survive...."
For now it seems like everyone is simply digging into their respective positions even deeper, the right is only interested in perpetuating the threat of "radical Islam", the calls from the left to bring troops back home are getting louder, and the response of Muslim leaders is as confused as ever with no indication of owning up to this OBL phenomenon that may in turn lead to concrete solutions internally to defeat such an extreme ideological onslaught. I don't think anyone will hear me out at least for now but I'll say it as loud as I could, "its time to let go". The Al-Qaeda story has ended and all that it inspired in terms of war and suffering must end as well. Will the remnants of its ideology survive? Sure, but so did communist parties as they still exist in many countries, neo-Nazism or neo-fascism (seen even here in America), but their overall impact on public psyche is none to insignificant. Its time to let go." 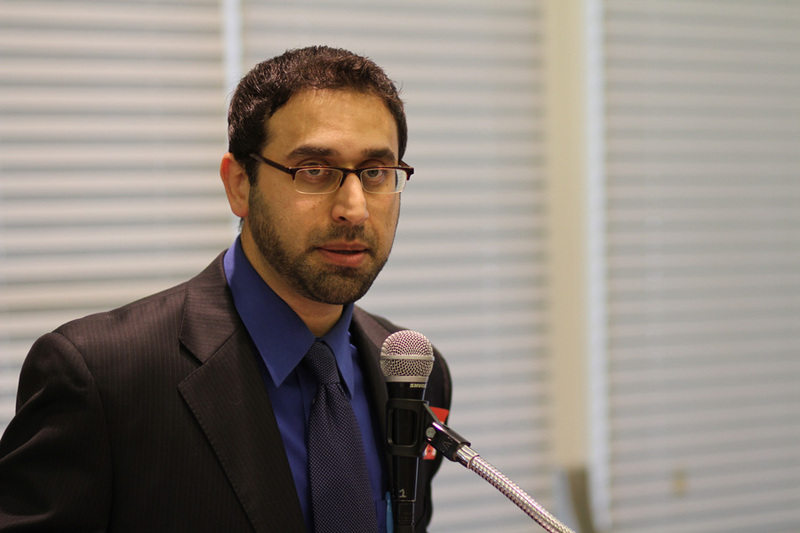 About Faisal Qazi...he is a coordinator of Southern CA based American Muslim Civic Engagement Forum (AMCEF) and the Vice President of American Muslim Health Professionals.